SPORAH TV: CELEBRITY BIG BROTHER: SPORAH DISCOVERS ANDREW STONE IS NOT GAY.! CELEBRITY BIG BROTHER: SPORAH DISCOVERS ANDREW STONE IS NOT GAY.! Andrew Stone, originally born in Kettering has over 30 years’ experience in dance, music, theatre and television. Andrew is best known from Sky 1 Pineapple Dance Studios where in 2010 he became a huge household name and a controversial one at that. Andrew Stone shot into the public eye on reality show Pineapple Dance Studios, which followed the daily lives of those working there, including Andrew who is a danced teacher. 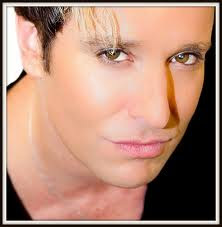 He most recently appeared on Celebrity Big Brother and was the first to be voted out. He is now signed exclusively to Sky 1 (2011) and is working towards a vibrant and exciting music and television career. Stay tuned for this on channel 4 coming soon. Would You Feel Offended If Someone Called You A Lesbian Or Gay When Your Not? He is soo gay for me. No way, i think he is LOL! Yes simply because I am not. Not because I have a problem with homosexuals or lesbians. Lisemwalo lipo da Sporah, huyo kaka amefanana sana na mwanamke. Nope. I know who I am and couldn't care less about what someone else says. OMG - why does everyone sound as though they are in a wind tunnel? Does the woman to the LHS of the Prat that is Andrew Stone not taking her coat off and the other woman? Oh dear. His kids - my god - he'll be lucky! !